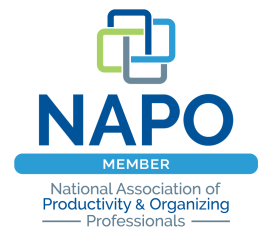 The 2014 Best Organizing Posts! 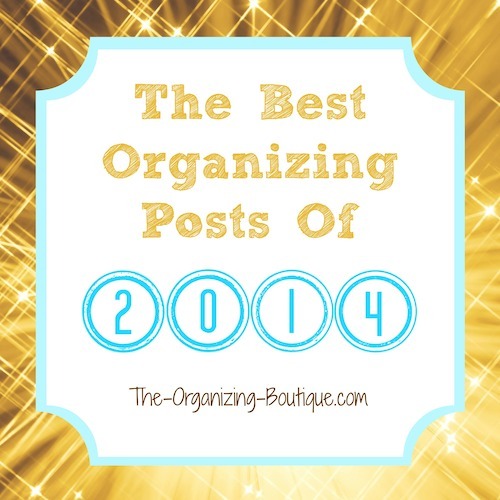 Here's how to organize your life with the 2014 best posts from The Organizing Boutique. These are our most popular pages from 2014, and we hope you enjoy them as much as everyone else has. Happy organizing! I love shoes, and I love organizing...I love organizing shoes! One of my weaknesses is shoes. Yes, I am a professional organizer, but I'm also human (and female)! I find really cute shoes at bargain prices...honestly, they find me. I have found some creative ways to store shoes even in small spaces, and I've shared them here. You are not alone! As a professional organizer, I frequently hear, "I just don't know where to start organizing." The sight of growing clutter becomes very overwhelming and paralyzing making it difficult to get organized...let alone identifying the place the start. This post will help you decide where to start organizing and the next steps to take in order to reach your goal of getting organized. If your cardigans are getting too wrinkled, stretched out, and/or taking up too much drawer space, then this solution is for you. Here you'll find the step-by-step process for organizing your cardigans and photos of how I FILE my cardigans in open canvas storage bins. Always a popular post, so I'm not surprised that it made the 2014 best...Creating or finding new uses for old things is a valuable organizing fundamental. The elemental thought process behind this principle is to simplify, simplify, simplify, simplify, simplify, simplify, simplify (and save some loot). Discovering new uses for old things is a great way to get creative, save time and most importantly money. Using these tips you can turn trash to treasure by upcycling old items. Who cares about organizing statistics and why should you organize your life? Why should you declutter your home? Why should you be able to find things easily? Check out this information and you'll learn the importance of statistics as well as getting organized - this will blow your mind! Check out these business management tools - books I read, people I follow, tools I use - whether you're looking to start a business or already own one. They will streamline the processes for running your business and make your life easier. 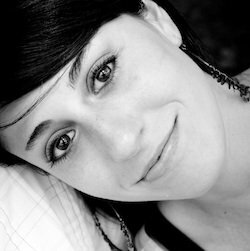 I use, love and recommend them! One of my top tips on getting organized is to follow this easy 3-step organizing process. If you're struggling with how to get organized or you want to declutter your home or you're organizing small spaces or what have you, this simple self organizing system can be applied to anything and everything. Having an organized home can mean... that you wake up feeling fresh, that your family members are learning how and where to put things away, that you take your orderliness to the office and everywhere else you go, that cooking and other regular activities are easy and enjoyable, that you find comfort and happiness in your humble abode. If you want all of that, you can have it right now. Clutter control is of the utmost importance when it comes to being organized. Often clutter seems to overwhelm, or even dominate, our very existence. There are two main ways in which clutter can be successfully controlled. First and foremost, the amount that is allowed to enter your life must be limited. Second, purging must occur on a regular basis. These tips on how to declutter your home will help get you started on the path towards a clutter-free life. If you or a member of your household is a hat-wearer, then you're no stranger to the chaos that can accompany head accessories. In our home, you could find baseball caps, beanies, fedoras, Irish caps, winter hats, summer hats, bandanas, a derby hat, a pirate hat and even a sombrero! Hence, I've implemented some very easy yet very awesome hat storage solutions that make it simple for us to find what we need in a snap. I get asked husband questions a lot about how I organize my husband and all of his stuff, especially since I'm a professional organizer and a married woman. They are fantastic questions, so here's advice on the topic! Here I outline some of the tips and tricks that work in our home and keep us both happy.